Davin's 30th Birthday Surprise - Ounree! Seriously though, I'm still shaking from this two days later. I think the song 'All Day Sucker' will be in my head for the rest of the week, and quite possibly for the rest of my life. Which would be alright, 'cause it's funky as hell. 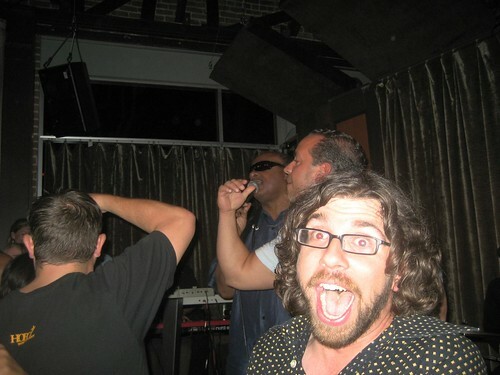 And speaking of life, I think that having Stevie Wonder join Supertaster on a tiny stage at my 30th birthday party might well have made the best night of my entire young life so far. There is literally no living musician I would have rather had on that stage. Absolutely none. Wow.